My husband is traveling a lot due to his work. But sometimes we’re lucky and able to join him on his trips. The last trip to Dubai was one of those lucky trips. 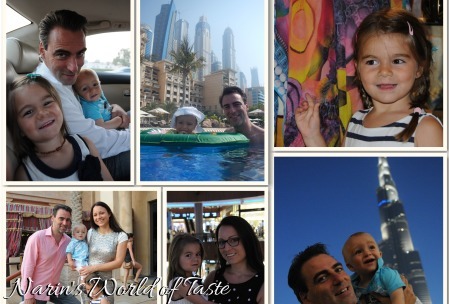 The kids were on carnival holidays for a week, and this leaves us a great opportunity to escape the cold Luxembourg weather in exchange for the sunny and hot Dubai weather. We stayed in a great area with lot’s of nice restaurants around, and we’re very happy that we were able to make some nice taste experiences and were able to try new things. Dubai is the most populous city and emirate in the United Arab Emirates. It’s located on the southeast coast of the Persian Gulf and is one of the seven emirates that make up the country. Dubai has lots of things to offer. 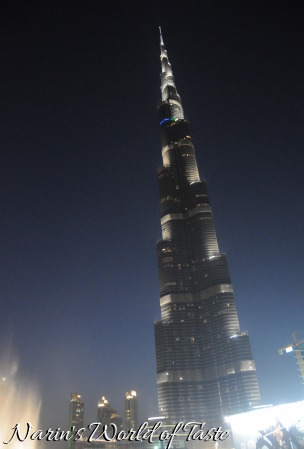 The city has become symbolic for its skyscrapers and high-rise buildings, in particular the world’s tallest building “Burj Khalifa”. Not only the tallest building is in Dubai, there is also the world’s biggest shopping center, the “Dubai Mall” and the world’s largest flower garden “Dubai Miracle Garden”! I guess many more other things too. 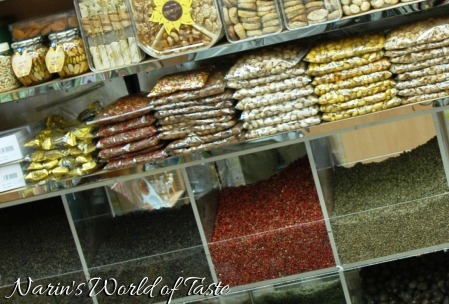 The Dubai Spice Souk is a spice and herb market in the old area of Dubai. It’s a really nice experience for travelers and worth a visit. If you like to buy something, make sure to compare the prices and negotiate. Dubai walk is the most recent developed area for beachside food and entertainment in the heard of Jumeirah Beach Resident. It’s a mixture between Arabic and western influence. Once a year, there is the Dubai Food Festival. It’s a city-wide culinary celebration that showcases the Emirate’s emergence as a gastronomy destination through a 23-day program of food-related consumer and trade events, activities, promotions, and appearances by food celebrities. The Festival promotes the diversity, creativity, and multicultural nature of Dubai’s culinary offering – from five-star gourmet dining to everyday restaurants and cafés for any budget. International brands are mixing with home-grown concepts, influenced by traditional Emirati cuisine and the flavors of the 200 nationalities that live in Dubai. There is a lot going on in Dubai with regards to food. There are many nice restaurants for any kind of cuisine and budget. Arabic food is very popular, especially Lebanese and Egyptian cuisine, and is available everywhere in the city. 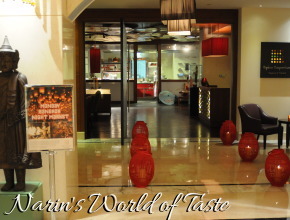 Western and Eastern cuisines with famous chefs are represented in very nice restaurants in many hotels across Dubai.